The way you furnish your home is fundamental to its atmosphere and comfort. 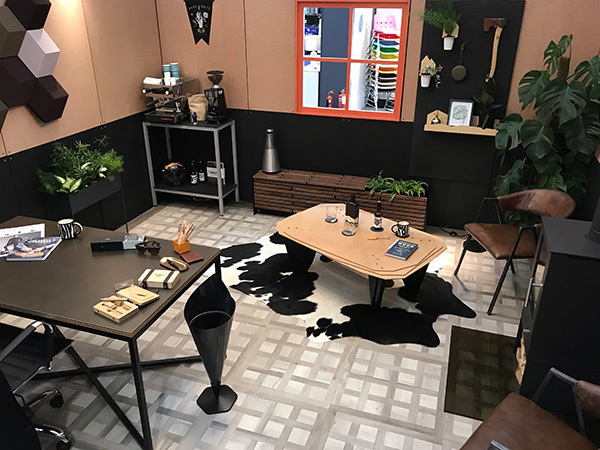 The Grand Design Room Sets creates an immersive experience that inspires visitors and encourages them to take home new ideas and information as well as potential supplier contacts. Full of beautiful products from individual designers and hundreds of items that are not readily available on the high street. One of the featured 2017 finalists is Ben Cocker owner of Guerilla Cast. The Guerilla Cast proposal is based on an Alpine themed office. Ben has brought his idea and design to life using colour, light, patterns and materials such as Richlite. The paper composite is used to create a unique wall cladding, that combines two contrasting tones from the Heritage Collection, Slate and Natural. 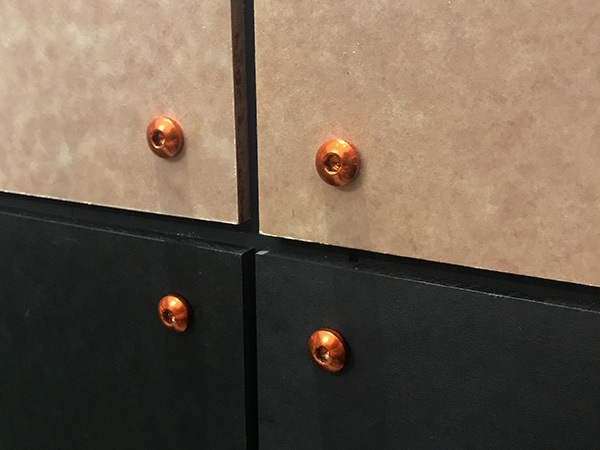 Copper coloured metal fixings highlight the panels and bring light and warmth to the space. The layered cascade Rainier panel has also been used to produce a feature table with a powder coated metal frame. The panel of judges, Daniel Hopwood and Sophie Robinson select their favourite room set with the winner announced on 12 October live on stage at 2pm in the Grand Theatre.